It’s amazing how much we can learn and grow in just four terms. We make new friendships and do things that we didn’t think we were capable of. This is what our Digi project will display. When you watch it I hope you all will be reminded of these incredible experiences and memories! So with around 4-3 weeks left of Digi I think that Ella, Lulu and I have made good progress with our Digi. For our project we are creating a video to celebrate this year and what we as a year level have accomplished. Nothing has really changed about our project since the proposal but we have added more ideas like some time lapse scenes and a couple of different montages and we have begun putting some of these ideas to work. To get our project going we made a list of ideas we wanted to put into our video and we have started putting them into a shotlist, but it was difficult at first to think about what to say but I think the draft that we have written will turn out great! We have already shot some P.T.C s(Piece to Camera) and have edited together some other footage through Adobe but as much as Adobe is good to use it can be very difficult to get your head around, due to this we have had to use Corel once for a time lapse scene and had a couple of goes at it to get it at the right timing. I’ve enjoyed learning about Adobe and I still have a lot more to learn, so far I only know the very basics but we will get there in the end. Orangutans, Gorillas, Philippines crocodile, Lions, Helmeted Honeyeater, Asian Elephants, Baw Baw frogs, Australian fur seal, Lord Howe Stick insect and the Tasmanian devil all have one thing in common. They are all part of the SOS 10. The SOS 10 are some of the most critically endangered animals and they need our help. Over the past month year 6 have been given the opportunity to visit Melbourne Zoo and film the SOS 10 to create a film to help raise awareness of the animal of our choice. With our cameras and scripts ready we were all prepared to film, after a talk from one of the members at Melbourne Zoo where we learnt a little bit more about our animal we began trying to find our animal. I wrote trying in italics because we had to walk through many, many animal enclosures before even reaching the Orangutan. The weather was quite stormy and it was spitting rain, it might have seemed like a bad day to go to the zoo but it was perfect for filming because if it was sunny and bright the glare would have made it much harder to film. When we finally arrived at the Orangutan enclosure there were already many people there so everyone had to be careful not to get them into our film, it was actually pretty hard to film with so many people around because peoples head would always get in the way or some one would bump into you and the camera would wobble or drop. Filming my piece to camera was difficult because there were also other people filming at the same time so it was quite hard not to get there voice in the film and also with the general public around we had to find a place that wouldn’t get int the way and that people could still walk through with out walking through your video. After a very long day of filming we headed back to school and from then on was the editing stage. The editing side of this project in my opinion was the hardest, whilst culling the footage you would have to find the gold moment in your videos and only have the perfect footage. With the camera I used to film didn’t actually work with Corel so I had to convert my footage which took a couple of lessons but after that it was finally time to record my voice over. There was a long wait to record them because so many people were doing it but when I finally got in I recorded a couple sentences at a time because I I were to record it all at once and I’m about to finish it but stuff up a line I wouldn’t have to re record the whole thing! It only took me five minutes to record so after that I could piece all the footage together! It took me maybe 5 lessons to put all the footage in the right spot and put it all together. I decided to put my piece to camera in last when I would look back at my film I would find the perfect moment to put it in but as I was about to do that I realised that I wasn’t talking very clearly and that I kept on looking down as I was talking. So I made the decision of going back to the zoo again a re filming it which actually turned out really well because I took some more videos and images that could work for my film. I then had to pick music for it, I ended up choosing the song “Bear Necessities” from the 2016 version of the Jungle Book and at the start of the song it starts very light but then it turns very dramatic which worked perfectly for my video. I was listening back to it and the music was very light when I first started talking but when I said that they were dying the music turned dramatic and serious. I was happy with my first draft and it was time to share it. When we shared our first draft the only constructive feedback I received was to add in some footage of Orangutans in their natural habitats so I fiddled around with that idea and replaced some clips in my film with clips of wild Orangutans. So a a couple of days later I submitted my final draft of the SOS 10 film. I think that your footage really helped make your message clear. You really told us about your animal and I liked your music. Well done!-Mary B.
I loved working on this project because I learnt so much and I really hope that these animals will eventually be saved, even if it is one animal at a time! So I guess we are in our second official week of #Digi_AmazeUs, there is really only five weeks left of this project! That’s really weird to think. Anyway in the past week or two Ella, Lulu and I having been doing a bit of research. In my last digi post there was a comment pointing out that I forgot to say what app/program we would be using (whoops!). So we are going to be using Adobe Premiere for the fist time, we found a couple of tutorials on how to use it and the basics of editing on it. We also started doing little test videos so that we could get used to using it instead of Corel. At first it seemed very complex but as you went along it slowly became easier to use but there are still parts that can get confusing. If I’m being honest there isn’t really too much to research with this project apart from using Adobe Premiere. Before we start filming we still need to write a shotlist and finalise the little details that needs to be sorted out. So far so good! It seems like only yesterday I was writing about my Digi proposal but that was last term. It is a new term and a new idea so, after long thought and a bit of conflict I would like to present my Digi that I will be doing with Ella and Lulu… Goodbye year 6! The video will be about the special moments that we have shared and celebrating the close friendships we have made, new and old. Because this is our last year of primary school Ella, Lulu and I wanted to display our learning as well as the memories. Having an Kris Kringle sort of thing where we would draw random names out and that person would have to say some sort of special memories they have shared with that particular person. Showing every face in the the year level for just one second. People talking about their favourite moments of year 6. I’m hoping that this will amaze our audience because it’s reminding them of how far we have come as a year level and even before this year. I have known lots of these people since I was 3, That’s 9 years together! That’s amazing to me! If this does amaze our audience we could present it in the celebration of learning which is our final assembly for the year. I can’t wait to begin this idea and I hope it will amaze you! So yesterday years 4,5 and 6 tested out a new activity called choice day. Before choice day even came along we had to choose our top six favourite subjects out of around 12 different subjects. They ranged from flying a drone to playing Sims City. This had never been done for year level yet so it was very exciting to test it out. I was selected to go into an activity called acting out. In this activity there was even more choice because we had to choose a scene to create, in that particular scene there would be a problem that you had to solve. We all got sorted into groups of 5, there had to be at least one person from each year level. In my group it was really cool to meet new students as well as new teachers and involve our different talents to re create a scene and solve different problems. My group chose a topic called cloned couples, in that scene there had to be a professor that created a machine, two famous people to test out the machine and 3 spectators to watch it all happening. It was a little difficult to write the script because we had to make it realistic enough but also there were things in there that probably wouldn’t happen in real life so we had to be creative. Performing it was the most fun because we had put so much effort into it and to see it all be put together was awesome. I thought acting out was was super fun because the fact that you were working with people that you may not have even met before and seeing how they work when we have a strict deadline to complete the task. I really hope that we can do it again! It is complete. #Digi_Amaze Us for term 3 is over! It was hard and I am exhausted but it was so worth it. Over the past 3 day our year level have been presenting our digi projects that we have been working on all term. I was very nervous about presenting because I wasn’t estate about what I had done. If I am being honest I don’t know If I did amaze my audience to a full extent, I didn’t use my own piano part in the end because it wasn’t really complete so I ended up using the original soundtrack write by the script. I really, really challenged myself with this project. Trying to think of the piano part without any help was the hardest part but also using garage band on my laptop for the first time. There were many bumps from my laptop suddenly shutting down to not being able to find my project but it all worked out in the end. So, without further a due here is my #Digi_Amaze Us for term 3 2016! 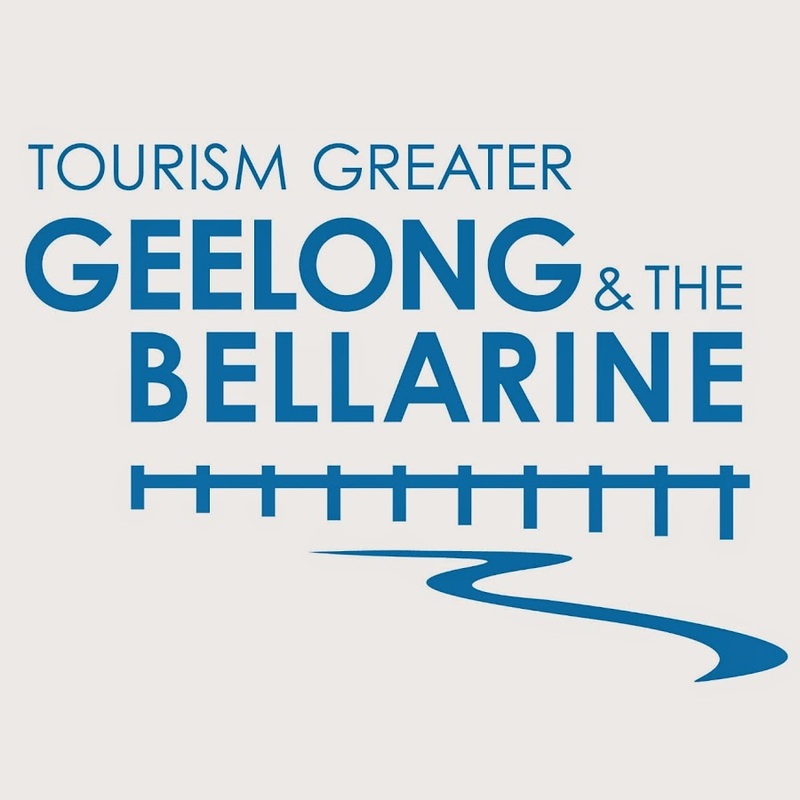 Over the past term year 6 has been working on a project called ‘Geelong, for Kids by Kids’, very early on in the term we were sent an email from Geelong and Bellarine Tourism asking us to make a promotional film for Geelong. We were briefed on what our task was and from there we begun the planning. Before we started planning anything or getting into groups the first thing we did was analyze the different promo films their YouTube channel had already created so we knew what their previous promo films were like and really, how to make a promo films. We got given a sheet on what was included in the videos so we would know what is needed in a promo film. We the had to start thinking about where and what we wanted to film, the most popular locations were Eastern Beach, Supa Tramp, Leisure Link and Balyang Sanctuary. Each class would get a different location to film. 6A got Torquay and Supa tramp, 6B got Leisure Link and Balyang Sanctuary and 6C got Eastern Beach. The next step was to get our ‘Film Crews’, everyone was paired up with someone in their class. The person who you got paired with was the person you would be filming with. Every pair was grouped up with other pairs in different classes so we would get footage from all the locations. My partner was Ruby and in our film crew we had Georgie, Emmaline, Jasmine and Henry and Jacob. After learning our film crew we then had to create a shot list with our partner from our class. The shot list had to include what area we would be filming, how long the scene would go for, what we would be filming. After finishing off our shot list we then had to share it with the rest of our film crew. If there was anyone in the film crew that thought there was something else that wasn’t included in someone’s shot list they would add it in. It was then time to film! Filming was by far my favourite part of this project, we left the bus at 8:45 AM and left straight for Eastern beach. The first area we went to was the skate park, we filmed their for about 1 hour and 1/2. Next we moved about ten meters away to the dragon park, the dragon park is a playground that looks over the beach. After recess we moved over to the carousel and three lucky girls got to eat ice cream! The next main area was the playground and the grass area next to it. The final location we went to was the Library and Johnson’s park. After a long day of filming (6 hours!) we all arrived back in the classrooms and dumped our footage onto our laptops. As much as the filming was exhausting it was so worth it because we had great footage to put into our promo films! Culling, editing, rendering, editing, rendering, editing rendering, sharing, editing, rendering, sharing, editing, rendering, sharing! This process seemed to go on for ever! We have spent about a month just editing which really shows how much effort goes into it. Culling is where you get rid of footage you don’t need, and trust me I had a lot! I got rid of about 100 clips, but in my defence they were all about 2-5 seconds long! Editing was the most difficult stage of this project because out of all of the footage that we received we could only have 90 seconds of it. The program I used was especially difficult to work with because it was so glitchy so I had to constantly render it to look back on it (Rendering is basically saving it as a video file). I actually enjoyed the challenge, even though at times I just wanted to throw my laptop out the window…. This was a fun/difficult/exciting/frustrating project, overall I really enjoyed doing this and am happy with my finished product. Here is my promotional film about Geelong! The food in Jamaica isn’t too different from what we have in Australia but there are some different meals such as Jerk Pork which is chicken or pork that is wrapped in pimento leaves and left to roast for 6-8 hours. there are also some side dishes that are kind of hard to get your head around such as boiled bananas! Jamaica is quite similar to Australia when it come to religion, around 64% of the population is christian, 62% are protestant, 2% Roman catholic, 2% Jehovah’s Witnesses and 10% are other. They also have a religion of there own called Rastafari, around 24,00 people in Jamaica follow it and around 1 million people in the world believe in it! As I have mentioned in previous posts, Australia is very multicultural. Australia doesn’t have a particular religion that we follow but there are major religions that a vast majority follow such as christianity and atheist. Jamaica has very similar festivals to us, music festivals, food festivals, there isn’t much of a difference. Most of Jamaica’s festivals are about music but Australia is probably more about public holidays. We are very close to the finishing point of our Digi Amaze Us projects, in a couple of weeks we will be sharing and presenting our projects! I wont bother to try and make what I am doing seem mysterious because I have already explained it in my previous posts. Our class has been working so hard to finish it and perfect it so we can’t wait to show them to each other! © 2019 Bridie's blog. All Rights Reserved.